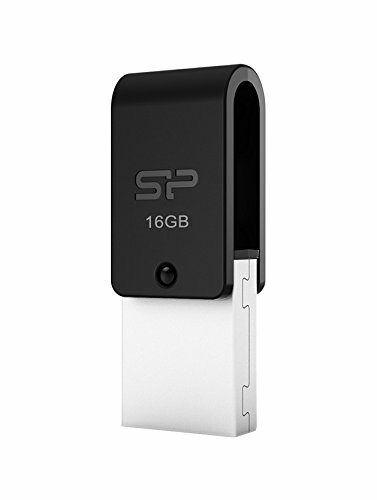 16GB Silicon Power Mobile X21 OTG USB2.0 Flash Drive for Android Phones and Tablets (Black) by Silicon Power at Pacs BG. MPN: 4712702637366. Hurry! Limited time offer. Offer valid only while supplies last. Engineered with dual interfaces of a micro-USB and a USB 3.0 connector the X21 enables users to copy and transfer files among various Android mobile. Engineered with dual interfaces of a micro-USB and a USB 3.0 connector the X21 enables users to copy and transfer files among various Android mobile. It promises easier, faster and more stable data transmission than mobile devices and PCs.